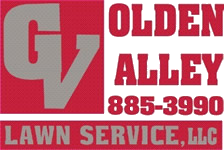 Founded in 1993 by owner Eric Finks, Golden Valley Lawn Service, LLC currently serves over 200 commercial and residential properties in Clinton, Missouri and surrounding areas. With over 20 years of service, we have the experience and knowledge necessary to serve your needs. We provide expert lawn care, landscaping and irrigation, and turf care services. Our professional services are used by a wide range of clients including residential properties, industrial sites, business parks, commercial properties, athletic fields, vacant lots, recreational properties, and multifamily housing. Whatever your needs, Golden Valley Lawn Service, LLC provides a comprehensive array of services to make sure your needs are met. Our success is a reflection of how well we care for our customers. We look forward to working with you on all your lawn care needs. Mission Statement: Manage and maintain a service company that provides a quality service and builds value, trust, (education) for our customer.